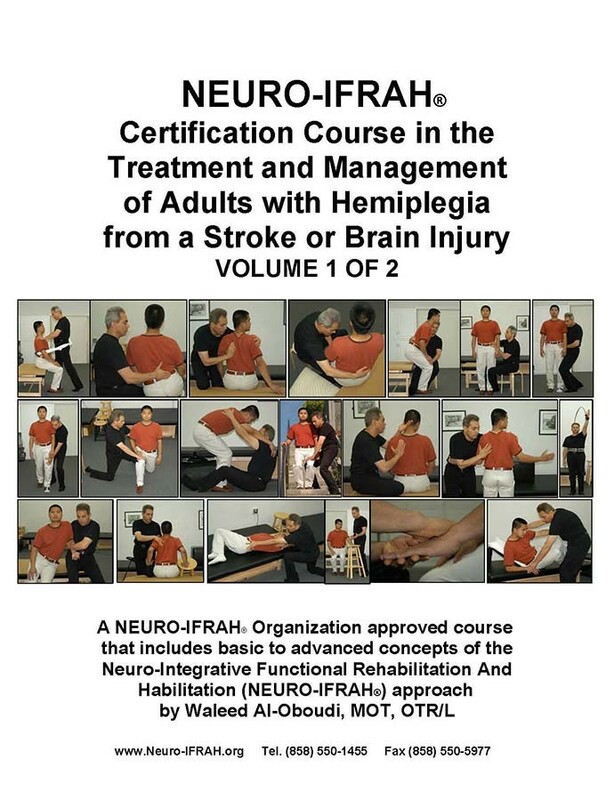 This course is specifically designed for physical therapists, occupational therapists, speech language pathologists, physical therapy assistants, and occupational therapy assistants who work with adults with Hemiplegia from a stroke or brain injury. This course is provided in two formats: “Format A,” part I (7 days) and part II (7 days) for a total of 14 days; “Format B,” part I (10 days over 2 weeks) and part II (5 days) for a total of 15 days. Both formats A and B provide 98 hours of instruction. This comprehensive course covers basic to advanced concepts and effective application in a practical, organized manner to enhance learning. The main emphasis is on assessment and management to develop excellence in maximizing functional outcomes throughout the continuum of care. This course utilizes an integrative whole-person approach with emphasis on restoring function and making it functional for a return to independent living and resumption/assumption of roles. Challenges encountered by therapists in meeting their patients’ needs throughout the continuum of care are addressed throughout the course. The course consists of lecture, laboratory practice, demonstrations, and patient treatment. Individual attention by the instructors will be provided to enhance participants’ observation, handling, and problem-solving skills. This course includes the practical application of current basic to advanced concepts sequenced in a creative manner to help all participants meet the course objectives as well as their individual objectives. Waleed Al-Oboudi, who has taught the most multiple-week courses in the past 10 years and the majority of the advanced courses ever taught throughout the United States, specifically designed this course. 1. Identify the impact of the stroke/brain injury on the patient’s life roles and the functional limitations interfering with his/her ability to resume/assume those roles. 2. Identify the primary and secondary impairments, movement or otherwise, underlying the functional limitations in various postures including function in upright posture. 3. Select functional activities that will assess the patient’s functional limitations and underlying impairments in various postures including function in upright posture. 4. Identify concepts related to musculoskeletal biomechanics and function of the trunk, upper extremities, lower extremities, and head/neck and overall body coordination. 5. Differentiate between normal and abnormal movement throughout the body in various postures and transition in functional activities including activities in upright posture. 6. Identify concepts related to the impact of whole body alignment and control as well as other mobility and control variables on respiration. 7. Identify missing components/processes necessary for interaction with the environment, effective learning, and generalization of skills/carry over. 8. Identify concepts related to facilitation of upper extremity and lower extremity us/function and whole body use for support, manipulation, balance, expression, sensory and functional tools, emotional release, comfort, containment, protection and propulsion. 9. Develop a comprehensive treatment plan that will include preparation of mobility and control and facilitation of normal movement during functional activities in all postures, and ideas for carry over. 10. Develop strategies to: facilitate the patient’s increased awareness of the rehab process, improve self image and confidence, and improve adaptation, planning, and pacing skills. 11. Apply management strategies to help patients obtain missing components of movement throughout the body that are interfering with functioning at a higher level in all postures including function in upright posture. 12. Modify management strategies effectively based on the patient’s response to maximize use of more normal and efficient movement patterns in functional activities. 13. Demonstrate effective application of handling concepts in developing upper extremity and lower extremity use/function and whole body use for support, manipulation, balance, expression, sensory and functional tools, emotional release, comfort, containment, protection and propulsion. 14. Integrate concepts related to normal movement, musculoskeletal biomechanics and function, sensory, cognitive, communicative, perceptual-motor, and emotional considerations into activities of daily living and other functional activities. 15. Identify concepts related to the restoration of automaticity throughout the whole body, and carryover in functional use during activities of daily living and other functional activities.